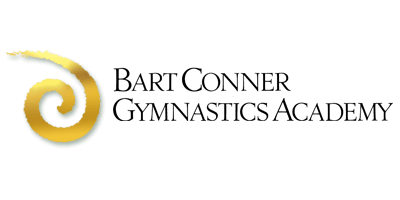 The Bart Conner Gymnastics Academy in Norman, Oklahoma, is one of the largest and best-equipped gymnastics centers in the United States. With more than 17,000 square feet, the main gym includes pits and other state-of-the-art gymnastics equipment and training devices. The Bart & Nadia Sports Experience is a multi-sport, health and wellness event held every February at the Cox Arena and Convention Center in Oklahoma City, OK. Our goal is to promote good choices and “ownership” of our health and wellness status by offering free health screenings and fun interactive fitness challenges, in addition to a variety of sports competitions designed to encourage young people to be proactive about their fitness and health. The International GYMNAST magazine, which began in 1956, continues to be the most respected gymnastics publication in the world. Purchased by Conner’s business partner, Paul Ziert, in 1996. Conner serves as Associate Publisher of the print magazine, and www.internationalgymnast.com online. Gymnastics grips, tumbling shoes, and various accessories and supplies can be purchased through our merchandise company, Grips, Etc. Started in 1998, Perfect 10 Productions, Inc. is our TV production company created to promote televised gymnastics events from around the world for ESPN, Fox Sports Net, Oxygen and others. Perfect 10 Productions, Inc. currently produces the Nadia Comaneci International Invitational. GymDivas, Inc. is a subsidiary of Paul Ziert & Associates, Inc. and is the exclusive distributor for Milano Pro Sport in the United States. Milano, and now GymDivas, are acknowledged as producers of some of the highest-quality gymnastics sportswear in the world. Using some of the finest Italian fabrics available with the most fashionable designs, GymDivas is set to establish itself as the premier leotard and gymnastics sportswear company in the United States.